Interesting simulation where Zenyatta races against some of the best race horses to have ever run. Fantasy. Simulations don't take the "horse" factor into account, which is why we bet on real horse races, not simulations. LOL. It's kind of fun, but they left some pretty important "bests" out, like Secretariat, Man O'War, Native Dancer, etc. Still it was kind of fun to see our Zenyatta win. 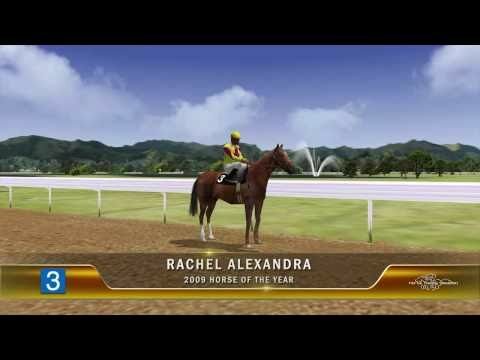 I agree actually this is one of several simulations they have done with her each time she faces new horses that are consider the best.